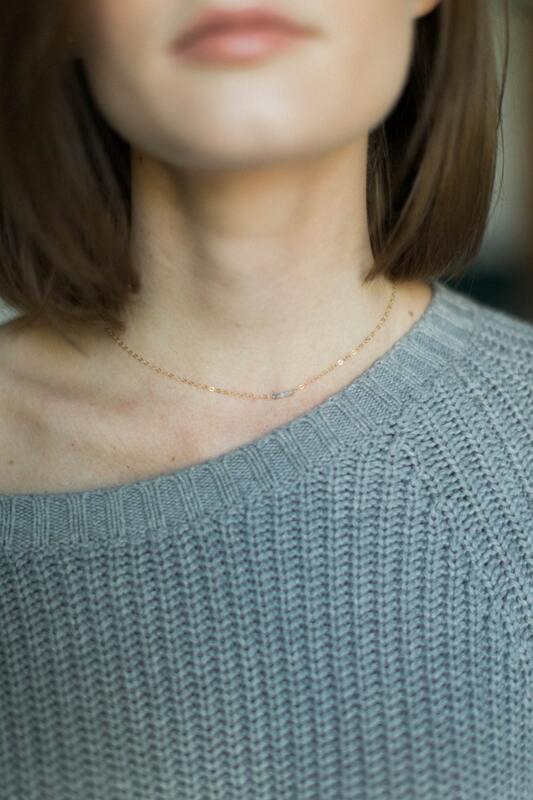 This is such a light and beautiful necklace. 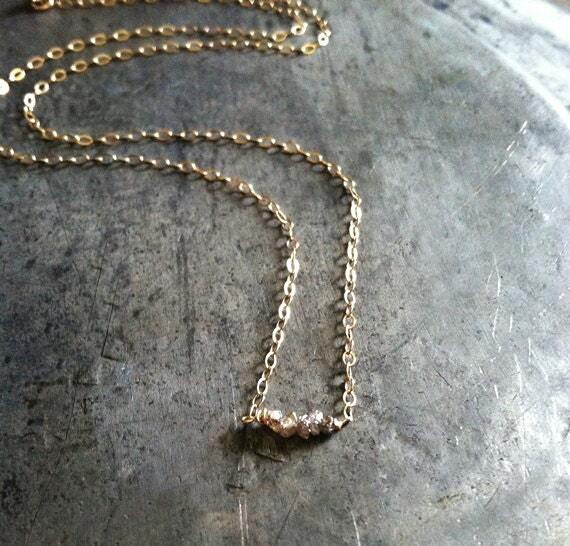 Five tiny (2-3mm) genuine, raw diamonds are stringed through 14k solid gold wire and adorn a dainty 14k gold filled chain. 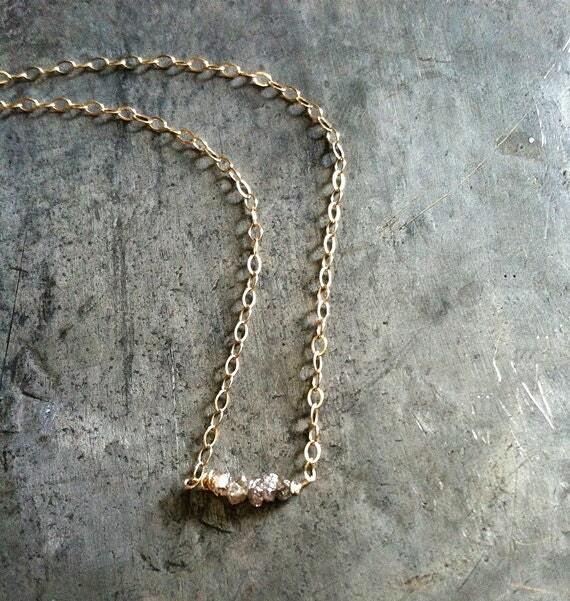 The diamonds are sort of a cafe au lait color, brown and creamy, and super shiny even though they are rough. 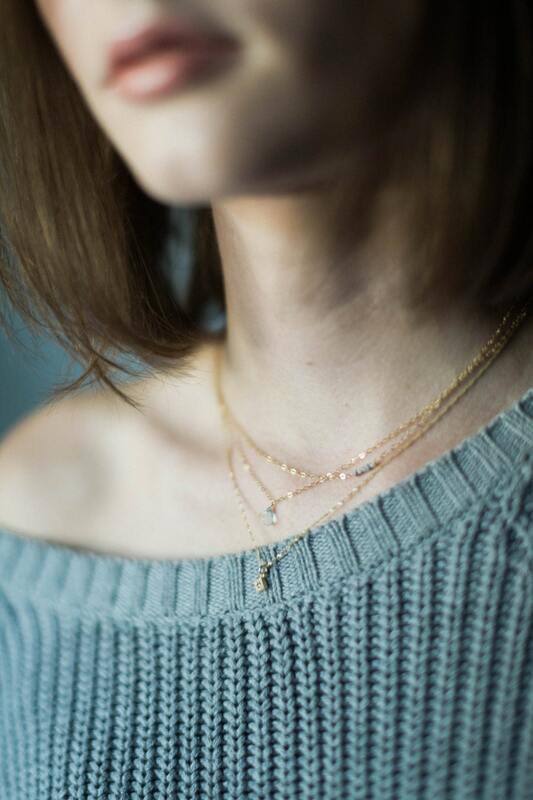 Very minimal and easily worn for any occasion, this necklace makes the perfect gift! 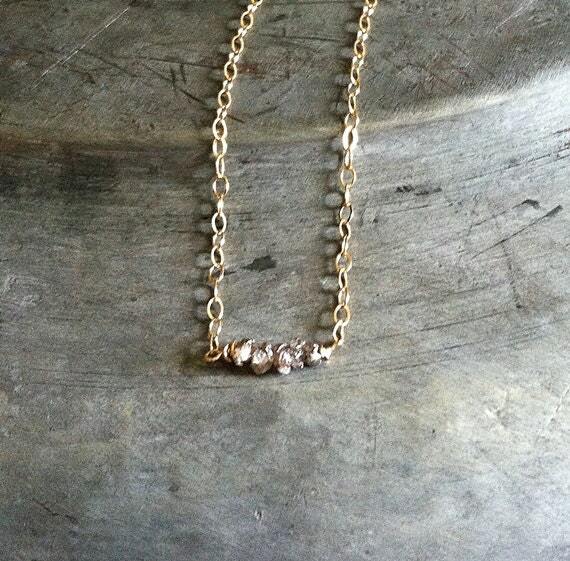 Each necklace is made to order and may vary slightly from the picture.